In this Sept. 9, 2018, file photo, a health worker sprays disinfectant on his colleague after working at an Ebola treatment center in Beni, Eastern Congo. Sometimes violent community resistance is complicating efforts to contain Congo’s latest Ebola outbreak, causing the rate of new cases to rise. A runaway hearse carrying an Ebola victim has become the latest example of sometimes violent community resistance complicating efforts to contain a Congo outbreak — and causing a worrying new rise in cases. The deadly virus' appearance for the first time in the far northeast has sparked fear. Suspected contacts of infected people have tried to slip away. Residents have assaulted health teams. The rate of new Ebola cases has more than doubled since the start of this month, experts say. Safe burials are particularly sensitive as some outraged family members reject the intervention of health workers in the deeply personal moment, even as they put their own lives at risk. On Wednesday, a wary peace was negotiated over the body of an Ebola victim, one of 95 deaths among 172 confirmed cases so far, Congo's health ministry said. Her family demanded that an acquaintance drive the hearse, while they agreed to wear protective gear to carry the casket. A police vehicle would follow. Dr. Seema Yasmin, medical expert with The Dallas Morning News, answers viewers questions about the Ebola virus, which spread to the U.S. in 2014 during the worst outbreak in West Africa's history. On the way to the cemetery, however, the hearse peeled away "at full speed," the ministry said. A violent confrontation followed with local youth once the hearse was found at the family's own burial plot elsewhere. The procession eventually reached the cemetery by day's end. The next day, with a better understanding of what was at stake, several family members appeared voluntarily at a hospital for Ebola vaccinations, the ministry said. "They swore no one had manipulated the corpse," it added. Ebola spreads via bodily fluids of those infected, including the dead. The Beni community where the confrontation occurred is at the center of Ebola containment efforts. To the alarm of the World Health Organization and others, it is also where community resistance has been the most persistent — and where many of the new cases are found. Chronic mistrust after years of rebel attacks is part of the "toxic mix" in Beni, WHO's emergencies chief, Peter Salama, said in a Twitter post. So far, the Ebola work in Beni has been suspended twice since the outbreak was declared on Aug. 1. A "dead city" of mourning in response to a rebel attack caused the first. Wednesday's violence caused the second. With each pause, crucial efforts to track thousands of possible Ebola contacts can slide, risking further infections. The Dallas Morning News' medical expert Dr. Seema Yasmin answers viwers questions about the Ebola virus, which arrived on U.S. soil in 2014 during the outbreak that killed more than 11,300 people in West Africa from 2014 to 2016. Defending themselves, Beni residents have pointed out the shock of having one of the world's most notorious diseases appear along with strangers in biohazard suits who tell them how to say goodbye to loved ones killed by the virus. 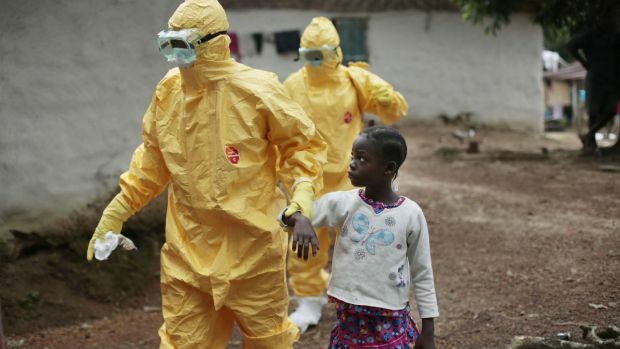 "Until now we didn't know enough about Ebola and we felt marginalized when Red Cross agents came in and took the corpse and buried it without family members playing a role," Beni resident Patrick Kyana, who said a friend lost his father to the virus, told The Associated Press. "It's very difficult. Imagine that your son dies and someone refuses to let you assist in his burial. In Africa we respect death greatly." Until recently many people in Beni didn't believe that Ebola existed, thinking it was a government plot to further delay presidential elections, Kizito Hangi, president of Beni's civil society, told the AP. Now the population has started to catch on and cooperate, Hangi said. "The problem was that the health workers all came from outside, but local specialists have been included to persuade and inform people in local languages." 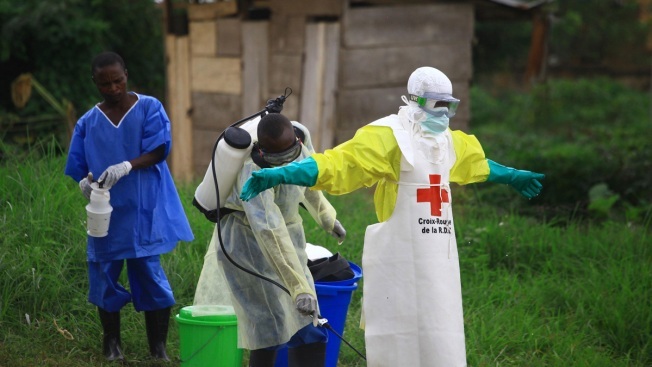 The head of emergency Ebola operations with the International Federation of Red Cross and Red Crescent Societies, Jamie LeSueur, acknowledged the problem. In early October two Red Cross volunteers were severely injured in an attack during safe burials in the community of Butemo. Another volunteer was injured in September by people throwing stones. "It raised a lot of questions for all of us. Where is the violence coming from?" he said. They have stepped up efforts to collaborate with communities and be clearer about messaging while working within cultural norms as best as possible. "Of course there are limitations," LeSueur said. "Some people like to view the corpse as it is buried but with Ebola, it is difficult to open up the body bag." In the emotionally charged environment where families have lost loved ones, a misstep could quickly raise tensions. While Congo's government is acting to give more protection to its own safe burial teams in Beni, LeSueur noted that the "militarization" of similar efforts in the far deadlier Ebola outbreak in West Africa a few years ago led some residents to hide or not report deaths from the virus. "I don't think that will be the case in this event" but everyone remembers that lesson, he said. With its position of neutrality the Red Cross doesn't use armed guards in any case, LeSueur added. "Community acceptance, that's our security."